One of the best ways to save money is by cooking at home, and since this girl is back in school, the budget is tight! 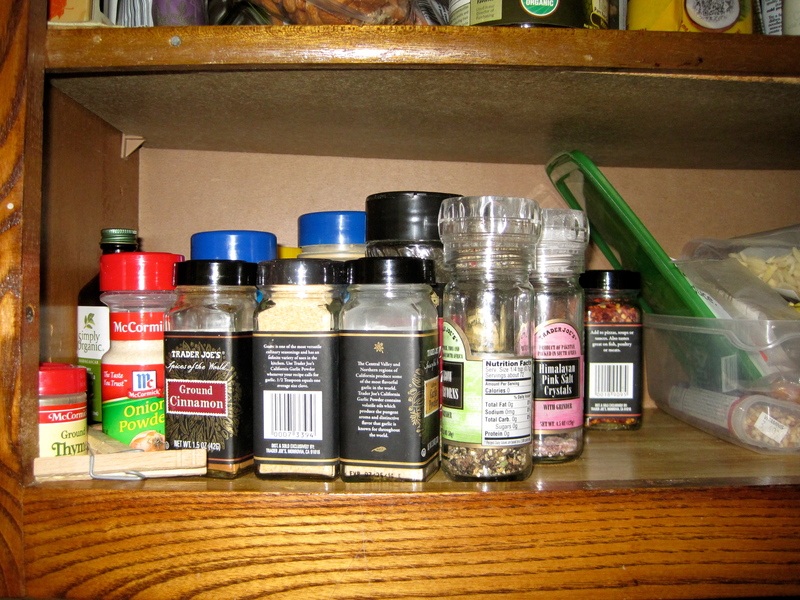 When cooking at home, spices are your best friend, but your cabinet’s worst enemy. My spices have completely overtaken an entire shelf of cabinet space and I have been wracking my brain for a solution. Unfortunately I don’t have the space to use magnets and hang them all up in plain sight, or the money to buy a fancy spice rack, so here is the simple solution I came up with. Online shopping is another way to save some dough(as long as you don’t go overboard) because you can find amazing coupon deals and you don’t have to waste gas driving to the store. 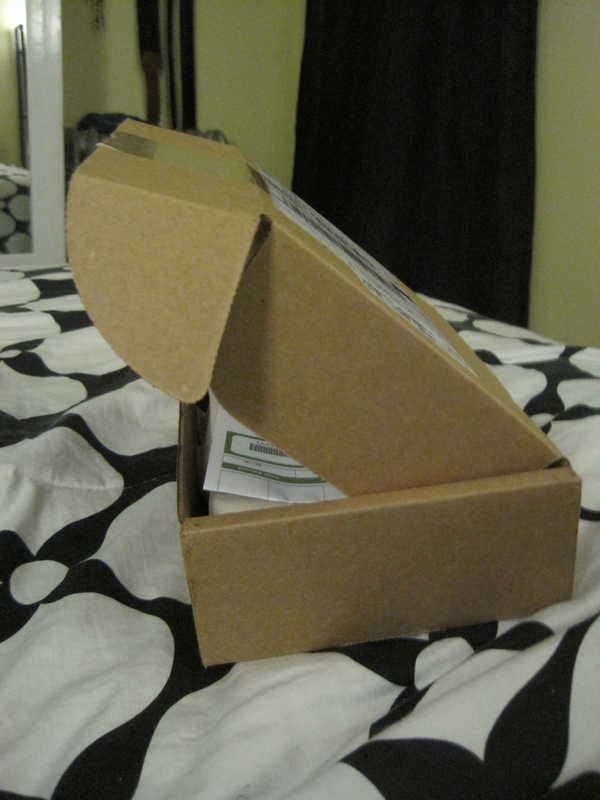 My most recent purchase came in this box, which is just about the perfect size for my spice collection. I cut off the top flap and painted the inside of the box white and used some of the gold paint from my last project on the outside. 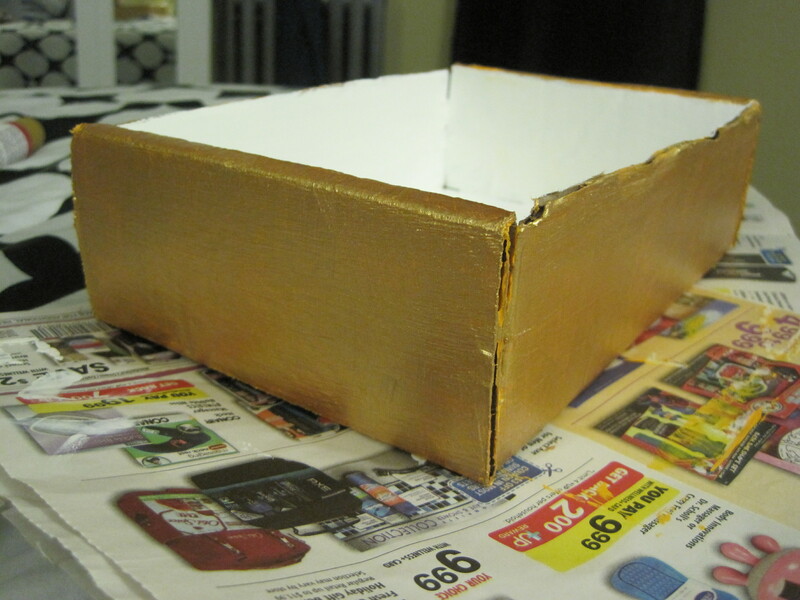 This will take a few coats to cover the natural color of the cardboard. Some other ways you could the cover the box are with patterned paper, fabric, newspaper, magazine images, spray paint, Mod Podge, etc. So go crazy with the personalization! 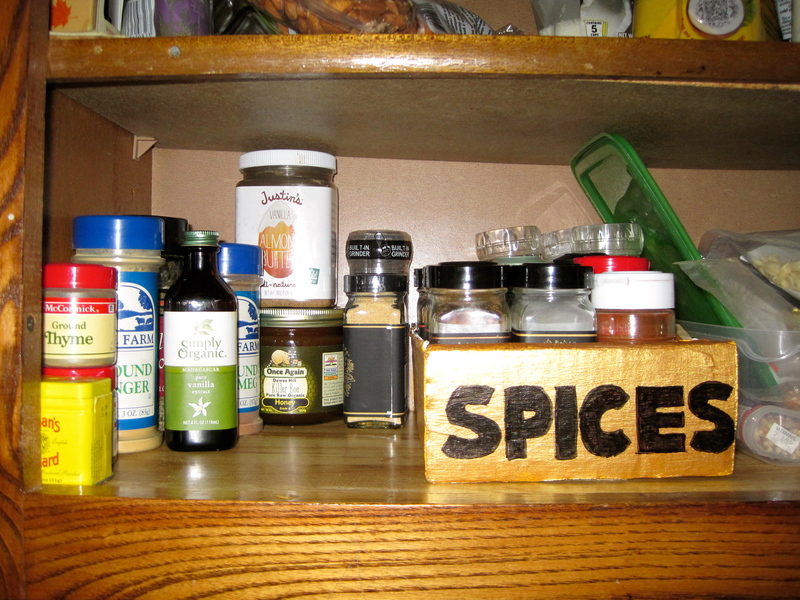 Here is my disorganized spice cabinet. I have to shuffle them around every time I cook and there is absolutely no rhyme or reason to where they are placed back. What a mess! While all of my spices don’t fit in the box, the ones I use the most do. This is a huge help because when I go to cook something, I can just take out the entire spice box, rather than running back and forth between the stove and my spice cabinet! All organized and look at all the space I have now! The stuff that didn’t fit in the box are mainly back-ups that I had purchased because I will be running out of the other one very soon. 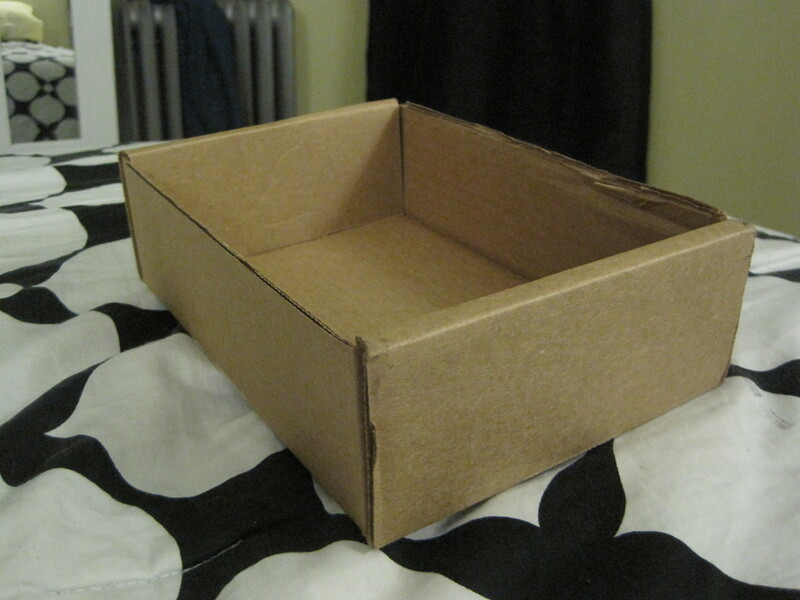 This quick project can also be just as easily done with a store bought box/basket, tupperware or a serving tray.